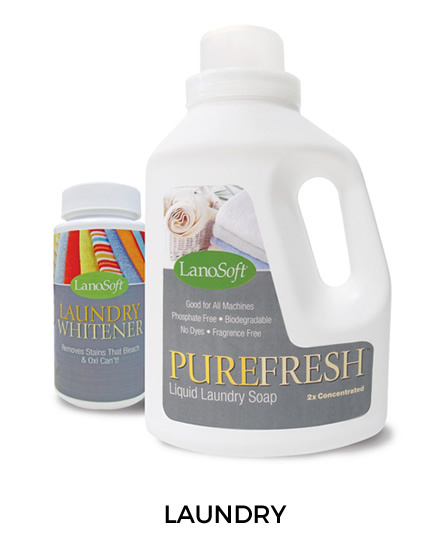 Our LanoSoft line includes oatmeal hand soap, laundry soap, automatic dish soap, and Gleam all purpose cleaner. These products are all specially formulated for use in soft conditioned water. Good for the environment. And good for you. 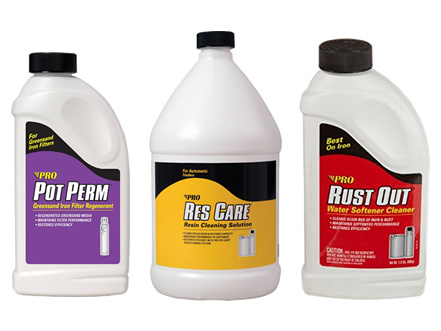 We offer a line of water treatment products including Pot Perm, Res Care, and Rust Out. 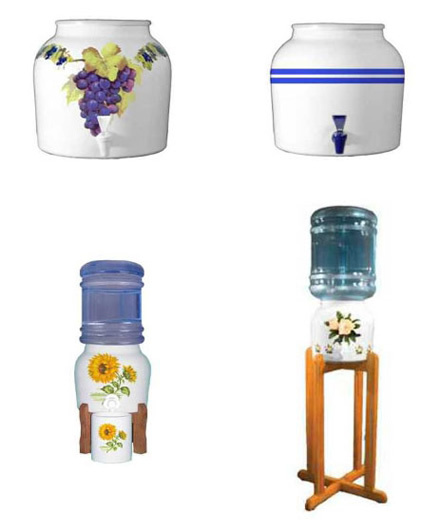 Our water store offers a large line of designer crocks, mini crocks and stands. Stop in and find the right crock for your home or office! Purchase 14 oz cans for $9.95 (1 and 5 gallon bulk containers available call for prices). 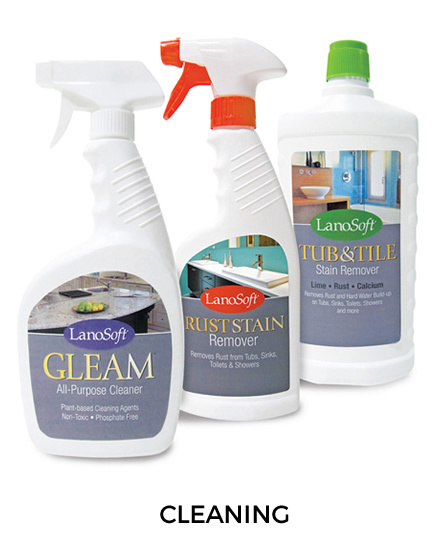 Our LanoSoft line includes oatmeal hand soap, laundry soap, automatic dish soap, and Gleam all purpose cleaner. These products are all specially formulated for use in soft conditioned water. Concentrated and designed for soft water, PureFresh is formulated to work with all temperatures and colors to deliver superior, brighter results. PureFresh removes stains, tough dirt and odors with ingredients that are safe for the environment. 2X concentrated and phosphate-free, PureFresh is safe for all washers, including HE. One 50 oz. bottle will clean 100 loads using soft water. Laundry Whitener removes stains that bleach and other products can’t. Safe for whites, delicates, and colors. Features unique soil emulsifiers and suspending agents that remove the most stubborn foods and grease while preventing streaks, spots, and etching. A biodegradable dish soap with soothing vitamin E and Aloe Vera for soft, smooth hands. 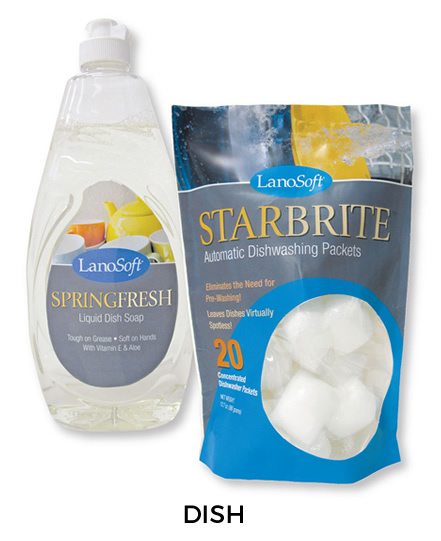 A unique phosphate-free formulation eliminates pre-washing and leaves dishes virtually spotless. Concentrated dishwashing packets wipe out greasy residue and dulling film for an entire day’s dishes. Safe for septic systems. 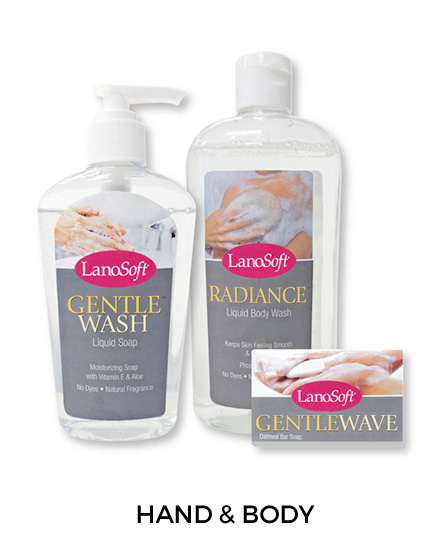 LanoSoft Liquid Hand Soap with vitamin E and Aloe Vera has a natural fragrance and contains no dyes. GentleWash formula lathers to a rich full-bodied head and rinses away easily. Created to wash the skin gently and effectively while keeping your skin velvety smooth. Deep cleans for visibly healthier skin long after you shower. Radiance Body Wash contains Aloe Vera and vitamin E with no dyes or heavy perfumes. It makes you feel clean and fresh and helps replenish moisture for softer, smoother, healthier-looking skin. GentleWave is a French-milled Oatmeal Cleansing Bar with vitamin E and Aloe Vera that features a natural, fresh fragrance and moisturizing benefits. GentleWave cleansing bar will stimulate your senses with a pleasant almond smell and moisturizing glycerin. Powerful, all-natural formula wipes out the toughest stains in kitchens, baths and on most hard surfaces. A biodegradable cleaner that contains no petroleum-based surfactant or dyes, Gleam is biodegradable and phosphate-free. Dissolves the toughest rust stains on contact. Perfect for vertical surfaces and hard to reach areas. Removes ugly stains from tubs, sinks, showers, tile, and toilets. Safe for septic tanks. Contains no phosphates. Concentrated to work fast on hard water and rust stains. Thick formula clings longer for maximum cleaning power. Removes rust stains and hard water, lime and calcium build-up on tubs, sinks, toilets, showers and more. 1 and 5 gallon bulk containers available, contact us for prices. 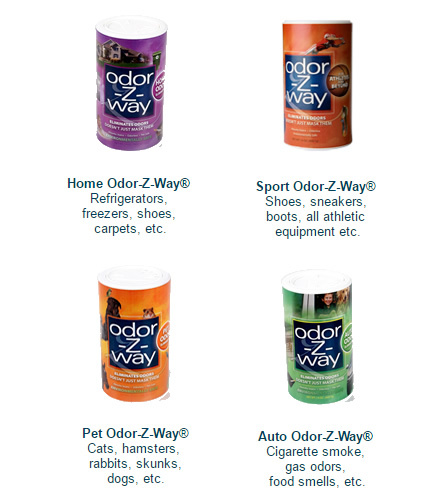 Pick up Odor-Z-Way in our store or visit our order page online. Because Odor-Z-Way is made up of synthetic zeolite crystals, this allows it to be odorless and predictable in its absorption capability. This product will retain 170% of its own body weight of water. 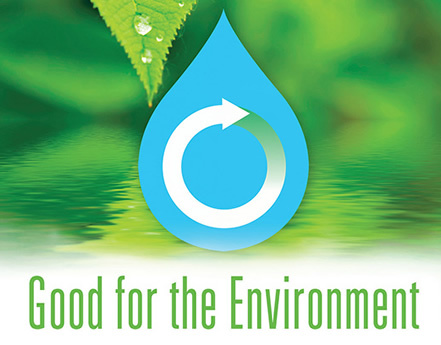 Odor-Z-Way is an environmentally safe product and FDA approved. Odor-Z-Way is a far superior product as compared to natural zeolites, carbons, baking soda, etc.